I had an especially tough time deciding what to include in this collection. Yesterday I spent hours listening and re-listening to things I’d collected over the last week, and to even more music that others had recommended to me, and I still fell short of listening to everything on my list. From what I did hear, these songs seemed to go well together. By coincidence, I discovered almost all of them thanks to links from my Serbian acquaintance Miloš, who I think must listen to even more new music (and more obscure new music) than I do. I’m dividing this post into two parts, the second of which will come later today. 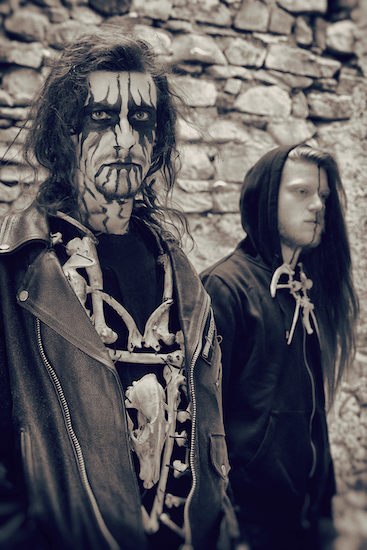 I’ll also mention that some noteworthy black metal splits have also come out this past week, or will come out soon. They’re not covered in this post because I hope to devote a separate column to them tomorrow.